In St. Louis, the devastating news of a distemper outbreak at Stray Rescue causing the deaths of 17 dogs was announced on the organization’s Facebook page early Sunday afternoon. At the Miami-Dade Animal Services, a sick and emaciated bulldog is waiting for a miracle. The abuse and neglect the six-year-old dog has endured is horrifying. 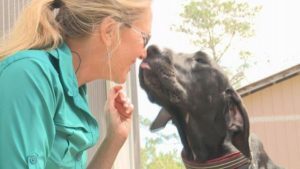 In Freeport, Florida, the Alaqua Animal Refuge took custody of 73 Great Danes from an alleged puppy mill operation after the owners could no longer care for the dogs.